Last October, Google paid a visit to the UT Dallas Computer Science department for a week of activities, luncheons, tech talks, and Q&A’s with the team as part of their Google University Outreach Program.  Currently, the UT Dallas CS department has over sixty alumni working for Google. With the large number of UT Dallas alumni working for the company, Google sent three UT Dallas alumni: Puneet Maheshwari MS’08, Vishwath Mohan PhD’15, and Dillion Bly MS’08, all Software Engineers at Google, along with two Google University Outreach Program recruiters: Liza Roesch and Jessica Upfal, to the campus for a week. 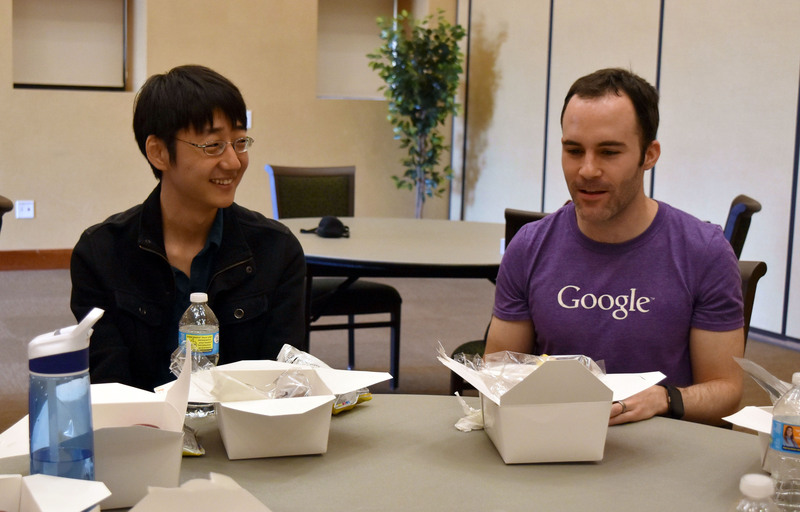 CS2 student talks with Dillion Bly, UT Dallas Alumni and Google Software Engineer. 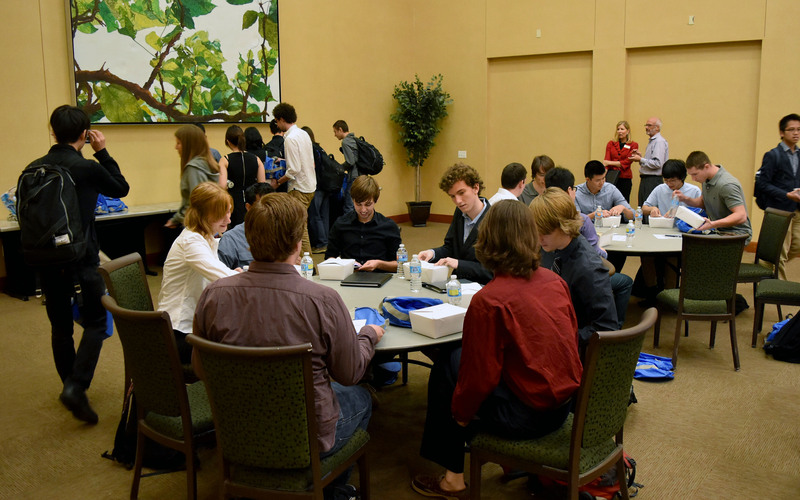 During their time on campus, the Google team sponsored a number of events so they would be able to meet and talk with UT Dallas CS/SE students. 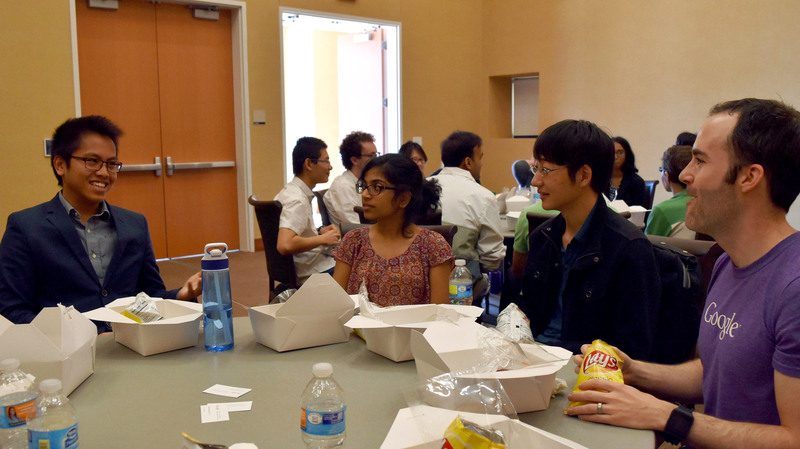 These events included the ACM Lightning Tech Talks with Google and a luncheon with thirty-two sophomore, junior, and senior members of the Computer Science Computing Scholars (CS2) Program. 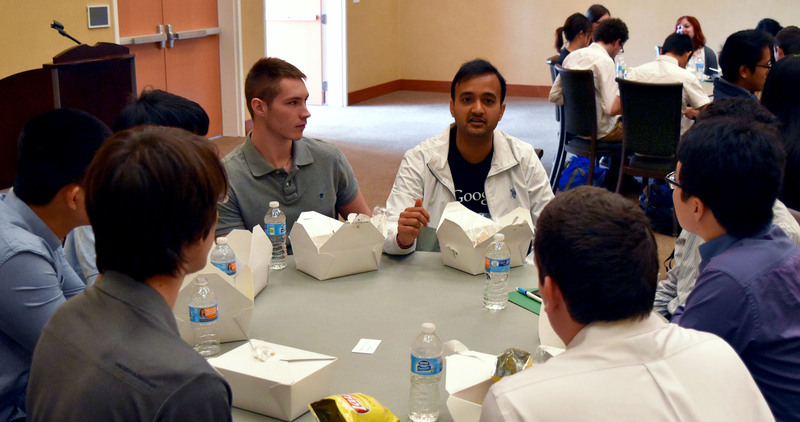 During the luncheon students were able to talk with the former UT Dallas students turned Google Software Engineers about life at Google, what they were working on, and most importantly to learn about technical internships that Google offers to students, network with recruiters and alumni, as well as full-time opportunities working with Google. The UT Dallas ACM held their Lightning Tech Talks event about Android Security, server frameworks, and Google shopping. All students were invited to this event. 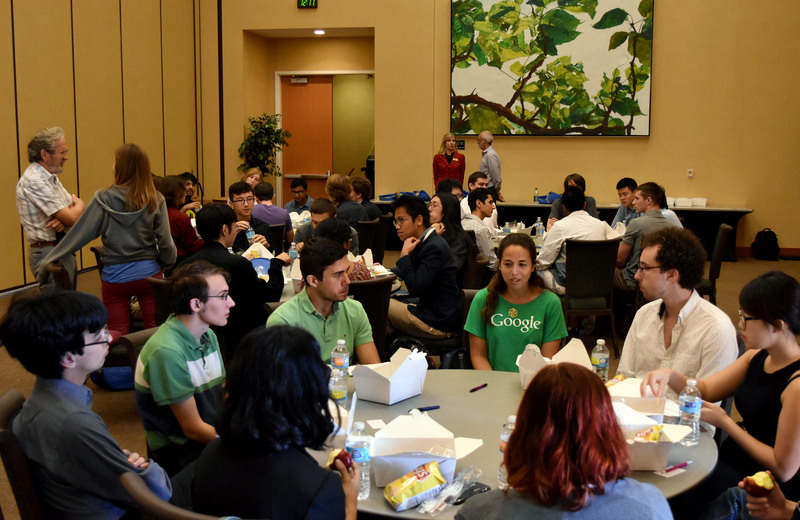 Attendees heard about current projects on which some of the Google engineers are currently working on, as well as learn about different options open to to them regarding full-time opportunities and technical internships from the recruiters themselves. 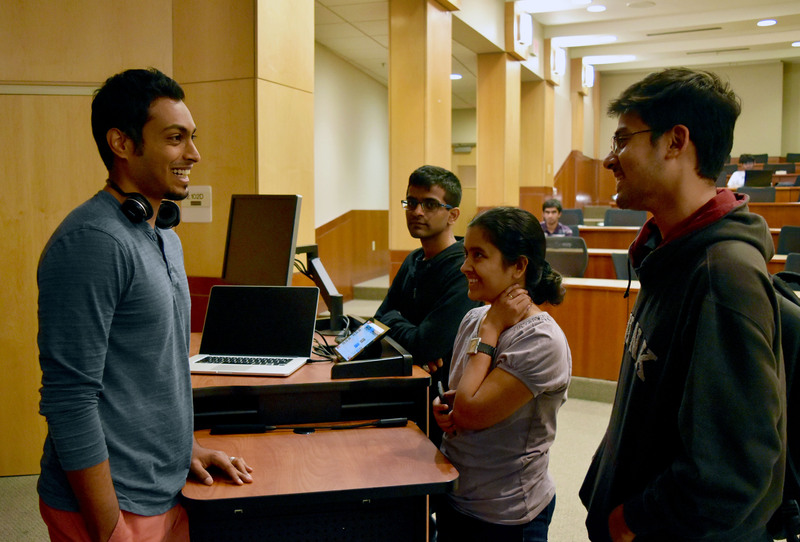 Computing Scholars (CS2) students chat with Puneet Maheshwari. 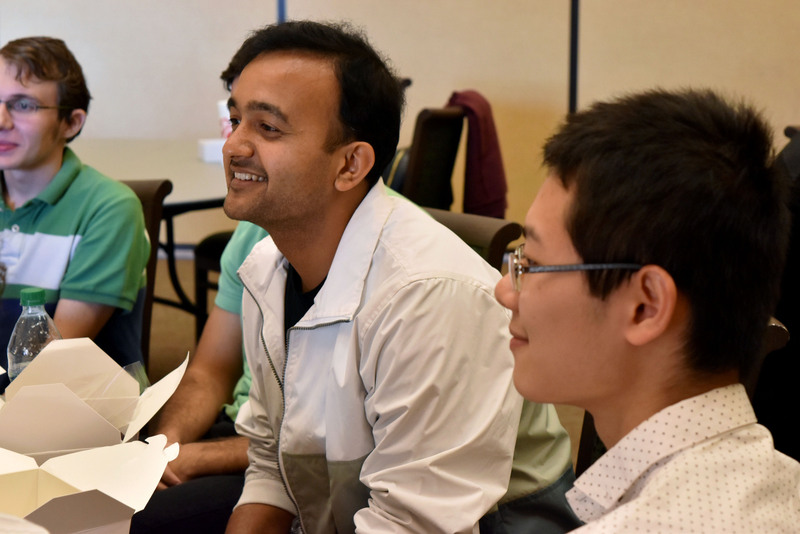 Vishwath Mohan, a 2015 PhD graduate and currently a Software Engineer at Google, spoke to students at the beginning of the week at his own forum. During his talk, he spoke about Android security, the state of the art, what type of project he currently works on at Google, and his advice for students wanting to apply for technical internships and/or full-time jobs at Google in their future. The Google University Outreach Program team is expected to return for visits in the Spring and Fall of next year. Google University Outreach informing students of all possibilities available to them. Puneet Maheshwari MS’08 and CS2 students. Vishwath Mohan PhD’15, giving some personal advice to CS after his forum. Dillion Bly, UT Dallas Alumni and Google Software Engineer, chatting with cs2 students.